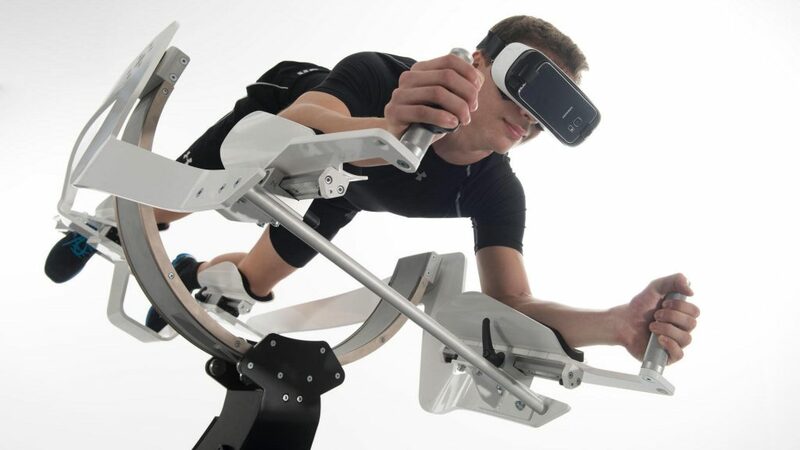 Munich-based virtual reality fitness company ICAROS recently receive an investment by Venture capital group Segnalita in order to enable it to enter the medical sector. “ICAROS supplies products that are unique and promising to date, brilliantly combining the fields of sport, fitness and gaming and thus meeting the nerve of the times.” – Bernhard Letzner, Managing Director of Segnalita. With this new funding, ICAROS is now able to make its amazing futuristic products accessible to the medical sector and to grow in the existing segment. At first glance, ICAROS looks like something straight out of the future. ICAROS does indeed look like something from a science-fiction film, but it’s actually a virtual- reality application that’s available right now. The ICAROS device only refers to one part of the equation, however. The ICAROS is a gyroscopic apparatus that allows three-dimensional movement, creating an immersive and groundbreaking way to navigate a 3D space. That space is displayed on a virtual-reality headset, with extra inputs made on a controller attached to the ICAROS handlebars. The biggest innovation here is the actual ICAROS device. 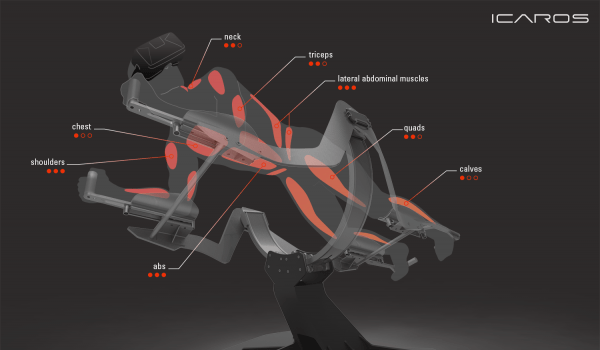 It allows 3D movement to simulate the feeling of flying, swimming, falling, and more. To use the ICAROS device, the user attaches and starts the controller. Then, the arm rests must be adjusted, and the pitch damping must be installed. The roll damping must be adjusted as well, along with the leg rests. You then activate the app and join it with the GEAR VR, put the gear on your head, and mount the device. You step on the foot rest, put your knees in the leg rests and then unlock the roll movement. To move, you must slowly lean forward to find your balance. You steer the device. ICAROS virtual reality games are available on Samsung Gear VR, HTC Vive and Oculus Rift, and a number of different experiences are available. One of these is a game called ICARACE, a futuristic racing game played with other pilots all over the world. Aside from the obvious flight-related applications in terms of virtual reality, the heavy-duty nature of the ICAROS apparatus makes it perfect for exercise-related apps as well. ICAROS focuses on certain parts of the body and helps exercise them during use. When it all comes down to it, ICAROS is one of the only devices on the market that provides something close to an approximation of flight. It allows pitch and yaw to be used as steering mechanisms, just like in real flight, and all of this is accomplished by leaning. Furthermore, ICAROS is customizable depending on the user’s size, making it even more versatile. The gaming applications bring a fun way to experience ICAROS on the table, while the exercise options make it practical for fitness and rehabilitation as well.